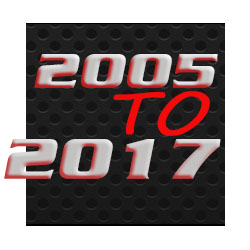 Billet exterior accessories for your 2005-2017 Ford Mustang V6 or V8. Create that unique appearance that will set your car apart from the others with one of our Billet Fuel Doors, Emblems or Antennas. 10-14 Mustang "Black Chrome" Billet Swirl Shorty Antenna 6"
10-14 Ford Mustang Billet Regular Shorty Antenna 12"